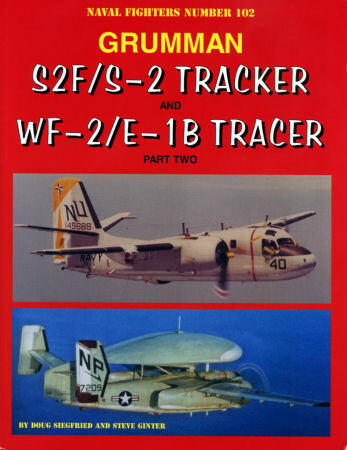 Ginter Books continues its superb, three-volume “Stoof” study with Grumman S2F/S2 Tracker And WF-2/1B Tracer (Part 2) – number 102 in the publisher’s popular “Naval Fighters” series. Whereas Part 1 detailed development, testing, variants, and civil and military users, this one summarizes US Navy squadron service – active and reserve, testing and training, early warning and research – and operational history. Modelers! Grab your drool cups! Authors Siegfried and Ginter survey, by my count, an amazing 129 units – complete with hundreds of B&W aircraft photos and, where available, dozens of unit badges. Book covers sport an additional 16 color shots. But don’t look for Ginter’s usual Modeling section. Part 1 included that. Grumman Tracker variants have served in Western anti-submarine arsenals for over 60 years. Even today, the brilliantly versatile design remains an icon of reliability, longevity and usefulness. “Stoof” students: snag this super study – and, if you don’t have it, Part 1. Then arm-wrestle me for Ginter’s final installment! With thanks to Ginter Books!